We recently presented Studio Supersonic in the first entry of our GOOD Studios blog series. Of course, Goodgame Studios isn’t only made up of game developers – it also has employees from countless departments and teams. We would now like to present these in our new GOOD Team blog series. We’ll start with HR Marketing! HR marketing is a key component in our strategy to become one of the leading global game developers within only a few years. To realize our vision, we are recruiting talented professionals from all over the globe. These “top talents” are essential to our success, but lately they have become increasingly harder to find due to a shortage of skilled labor. Companies have to proactively communicate their benefits to applicants to attract them. That’s why our five HR marketing professionals are working passionately to make Goodgame Studios a world famous employer. 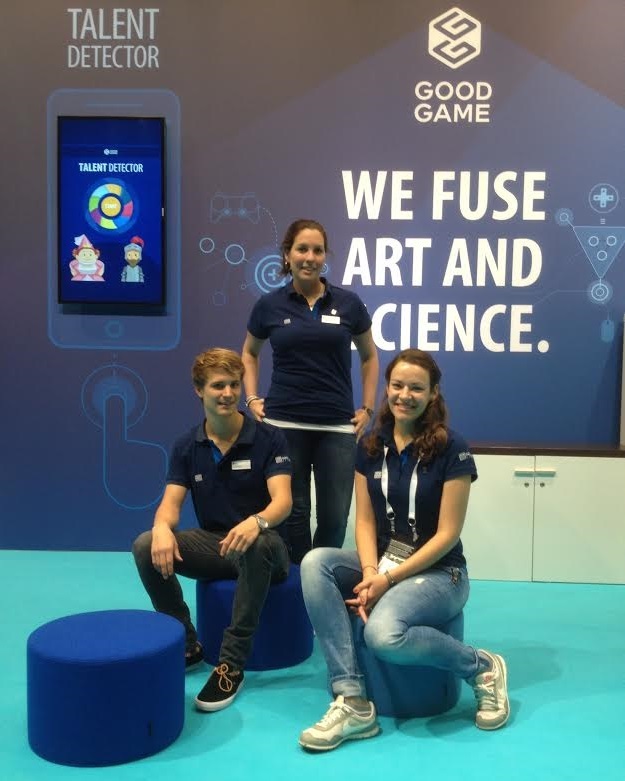 The HR Marketing team doesn’t only operate from the Goodgame headquarters in western Hamburg – they are also constantly on the road visiting trade fairs and conferences and answering questions about career opportunities with Goodgame Studios, the application process, our benefits, and lots more. No one leaves our stand with any questions left unanswered. 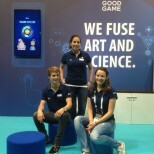 In celebration of gamescom, they even presented their own app with which users could take a quiz to find out which of our jobs fits them best. Find out where you can see the team next here. In addition, HR Marketing works in cooperation with other departments on employer branding, i.e. the positioning of Goodgame Studios as an employer. To this end, they use creative methods such as poster and online campaigns, which are developed and carried out together with our Print & Corporate Art team. Our current campaign, “We Fuse Art and Science”, illustrates how technical and creative disciplines can achieve great things together under one roof. 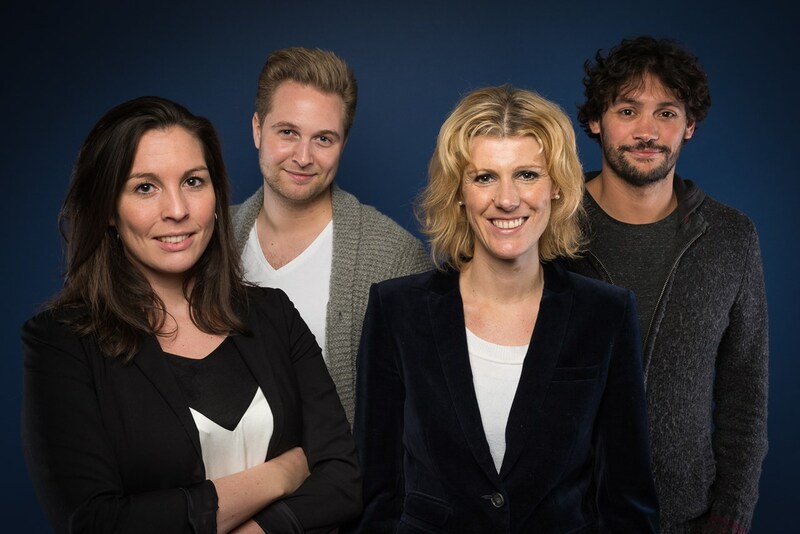 In order to offer even greater insight into our company, HR Marketing recently invited some of our colleagues to have their say in front of a live audience and rolling camera. No one can tell us more about Goodgame Studios than our own employees. On Facebook and YouTube, these activities give the entire world an authentic peek behind the scenes at Goodgame Studios. Since a picture is worth a thousand words, take a look for yourself. The HR Marketing team uses some unconventional methods as well. Just recently, they sent the entire city of Hamburg hunting for rocking horses as part of a guerrilla marketing campaign. Sounds interesting? Read more about the playful campaign here. The creative team already has its next projects in the pipeline, so keep your eyes and ears open! If you’re interested in a career at Goodgame Studios there are lots of exciting positions waiting to be filled. Good luck with your application!